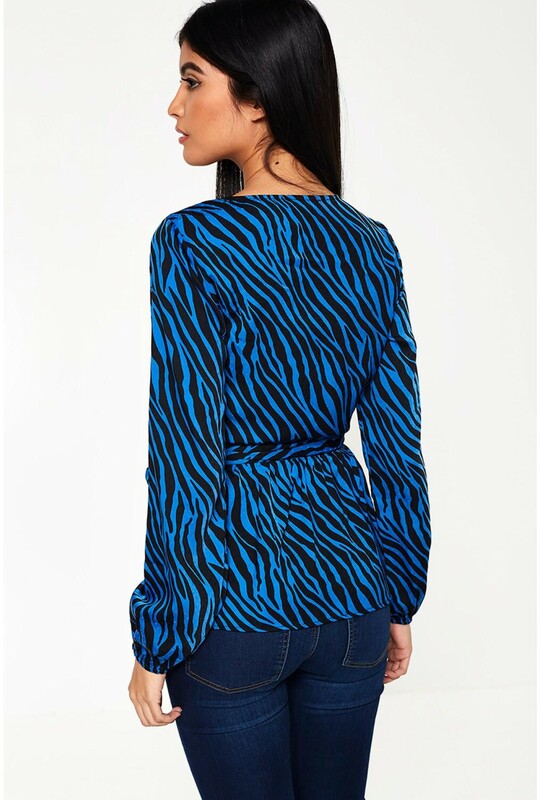 This long sleeve top is the perfect piece for the 'jeans and nice top' combo. 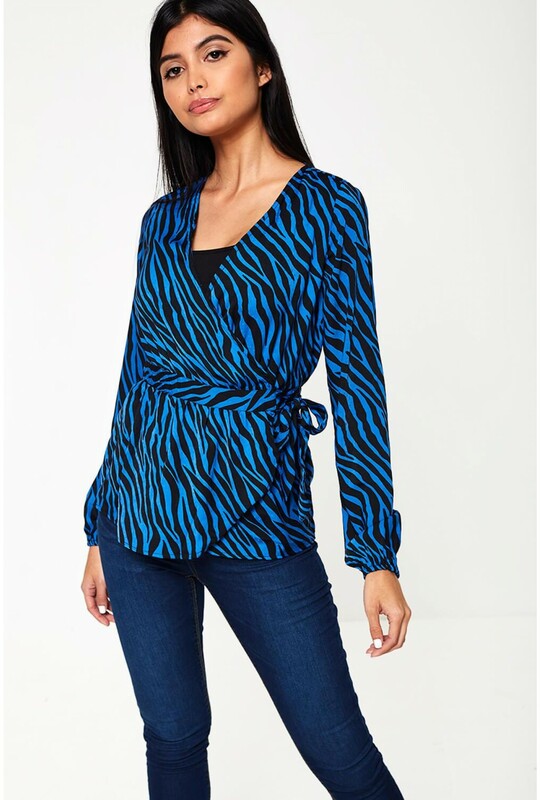 In all over zebra print on a blue base and flattering wrap design. 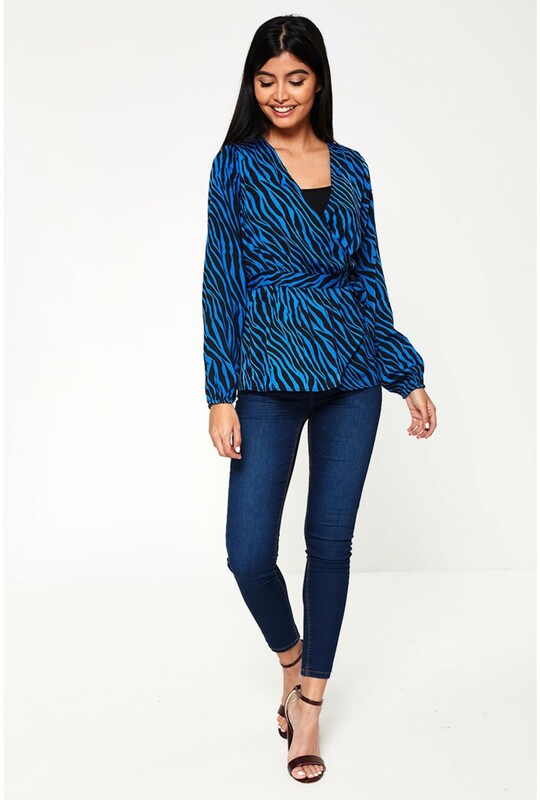 Wear with our coated margo trousers and black heels.